Before you read, I wanted to share a free resource with you because you’re part of this community. Learn the 4 ingredients your restaurant business needs to maximize success. 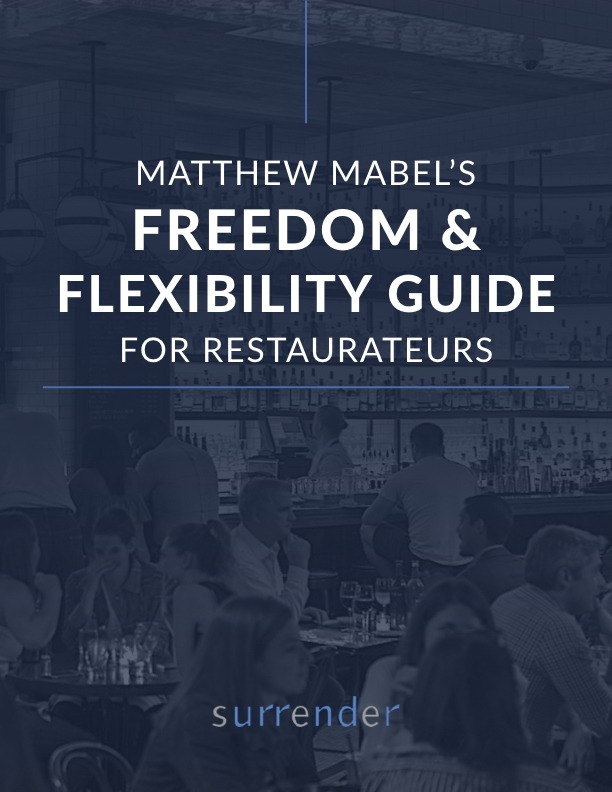 Download “Matthew Mabel’s Toolkit for Creating a Dream Restaurant Business“. No strings attached! Now – let me share what High School teachers know about your success. Recently I had a joyful time sharing the formula to grow a successful independent multi-unit restaurant company with the top high school teachers in Texas, at the TRAEF (Texas Restaurant Association Education Foundation) Culinary Educators Training Conference. The chance to work with an incredible set of educators who work with tomorrow’s top restaurant talent was one I could not pass up. Through all my research with successful owners of multi-unit independent restaurant companies, I have identified a formula for success. As a regular reader of this newsletter, I would like to offer you a free download of my Toolkit for Creating a Dream Restaurant Business. This is the material I shared with the educators, and the same framework I use when I work with owners like you who want their companies to be among the best in the industry. It is a lot more similar to the formula to run a great high school than you would expect. How Is a Restaurant Like High School? We talked about how a restaurant company must have capable operations — just like a high school must have capable administration, faculty, supportive parents who encourage learning, and an effective curriculum. A restaurant concept works only when people want it and must have opportunity in the marketplace — just like a high school needs students who want to learn about the subjects they teach and a supportive community. A restaurant company must have strategy to know how to get from where they are to where they want to go — just like a high school must know how they are going to get students from where they are in 9th grade, to graduation in 12th grade. And a restaurant company operates best in a low-drama environment in an atmosphere of trust, as does a high school — where faculty administration, staff, and parents have open communication and appreciate each other. One of the educators told me that most of their students wanted to be rock star chefs, and they were not as interested in the management side of the curriculum. That made me think of that breed of restaurateur we all know, the one who feels the same way! The truth is many successful restaurateurs we know got a start based on being good at one thing, whether food, service, marketing, or locations. But it was only when they mastered all aspects of their company that they began to flourish. Over to you. Where is your company’s greatest opportunity to improve? 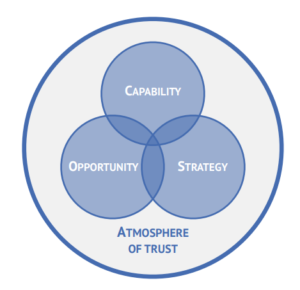 Capability, opportunity, strategy, or atmosphere of trust?